The field at the 2019 Miami Open Masters is rapidly narrowing after Sunday's round-of-32 action. This year's tournament has already been riddled with upsets and injuries that have had a profound impact on what will happen in the later rounds. On the women's side, Su-Wei Hsieh eliminated top-seeded Naomi Osaka on Saturday. Serena Williams withdrew from her match with Wang Qiang, citing a knee injury. There hasn't been as much drama on the men's side yet. Novak Djokovic and Roger Federer entered Sunday still in the mix. Federer has the day off before his round-of-32 match against Filip Krajinovic. Here are the scores and top results from Sunday's action at the Hard Rock Stadium in Miami Gardens, Florida, via MiamiOpen.com. Sunday's biggest result is the one that didn't come from an actual match. Williams was scheduled to take on Wang Qiang before announcing a knee injury would prevent her from playing. Williams' official statement was vague about the nature of the injury. "I am disappointed to withdraw from the Miami Open due to a left knee injury," she said, via Alex Fisher of Sporting News. "It was an amazing experience to play at the Hard Rock Stadium this year and [I] would like to thank the Miami Open for putting on an amazing event. I hope to be back next year to play at this one-of-a-kind tournament in front of the incredible fans here in Miami." At 37 years old, Williams' body isn't going to bounce back the way it once did after matches. The big concern moving forward is how missing so much time—this was just her third tournament of the year—impacts her ability to endure the grind of Grand Slam events. There are still two months to go before the French Open begins, so it's not yet time to panic about what Williams might be able to do. But she hasn't made it past the quarterfinals in any 2019 event so far. Venus Williams, meanwhile, continues her march through the Miami Open. A three-time winner at this event, the 38-year-old has yet to drop a set through three matches. She overwhelmed No. 14 Daria Kasatkina, losing just four games in two sets. This set of tennis from Venus Williams just proves that -- at almost 39yo -- she keeps improving in many aspects. Quite impressive how she just took this set 6-3 despite struggling so much to impose her usually biggest weapons. Kasatkina did a lot to help Williams' cause by hitting six double-faults in defeat. Venus will face her biggest test of the tournament in the fourth round against Simona Halep. The No. 2 seed had to fight through her first two sets against unranked Polona Hercog before turning things on in the third. Hercog had Halep on the ropes, taking her to a tiebreak in the second set after a 7-5 win in the opening set. The Slovenia native was unable to close it out, extending her losing streak against ranked opponents to eight dating back to 2018. The women's bracket did lose another marquee star when Tatjana Maria upset No. 4 seed and defending champion Sloane Stephens in straight sets. The 31-year-old from Germany has tied her best tournament streak this season with three wins so far in Miami. After back-to-back wins over ranked opponents, Maria will take on unranked Marketa Vondrousova with a spot in the quarterfinals on the line. 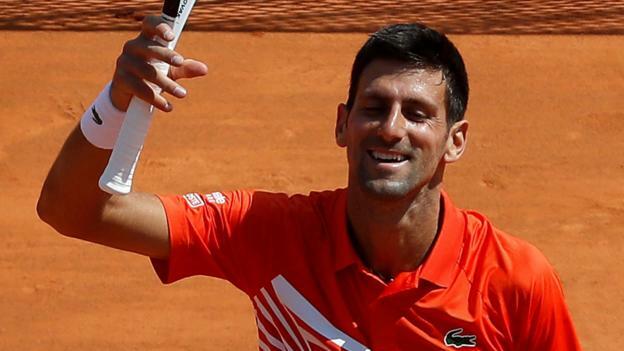 Djokovic also had his struggles in a three-set win over Federico Delbonis. The men's top seed withstood a 6-4 loss in the second set with two break points in the third. After the match, Djokovic admitted his second-set defeat was the result of not giving Delbonis his full attention. "To be honest, I lost my focus," he said, via ATPTour.com. "I should have done better mentally than I did in the first set and also the end of second set. I managed to really play well the last couple games of the first set, to go up a break and put myself in front, but then I played a couple of really bad service games." Djokovic is trying to win his seventh Miami Open title and first since 2016. He's had hiccups in each of his first two matches—Bernard Tomic took him to a tiebreak in the first set on Friday—but has overcome those early struggles to survive and advance. 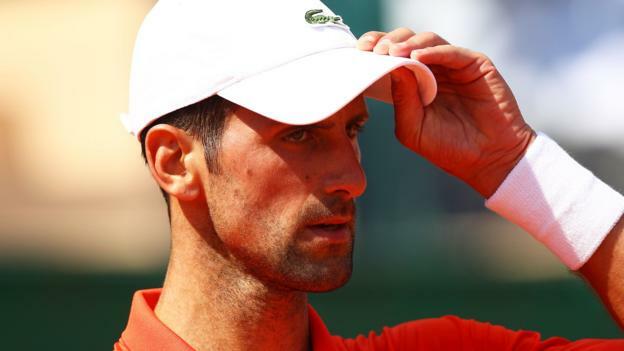 If those issues persist for Djokovic in the fourth round against Roberto Bautista Agut, there will likely be an upset. Agut needed 84 minutes to eliminate No. 15 Fabio Fognini in straight sets.